I mentioned Mosaic Art Now the other day in my post about the mosaic in the Bronx MTA station at Bedford Park Boulevard. Mosaic Art Now (MAN) is an organization dedicated to celebrating the mosaic as an art form. 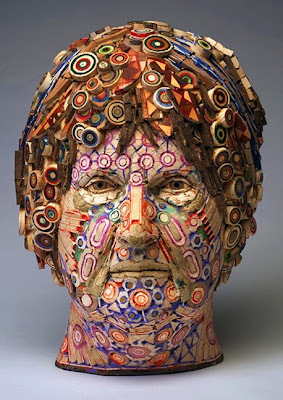 MAN was founded in 2008 by mosaic entrepreneur and artist Bill Buckingham with the publication by Mosaic Rocks Press of the first issue of the magazine, Mosaic Art Now. Since then, MAN's operational scope has grown to include a website, blog, and a Facebook page. With MAN's expansion into cyberspace, Buckingham has been joined by co-editors Nancie Mills Pipgras and Michael Welch. 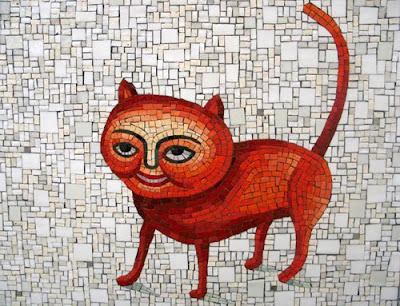 MAN promotes the international understanding and appreciation of contemporary mosaics through quality publications and a lively online presence. We deliver provocative and inspirational content for artists, curators, architects, designers, collectors and educators. I applaud their efforts on behalf of this ancient and often overlooked art form. What's really cool about MAN is their devotion to the history of the mosaic while at the same time embracing how the art form is expressed today. And besides, this stuff is just cool. 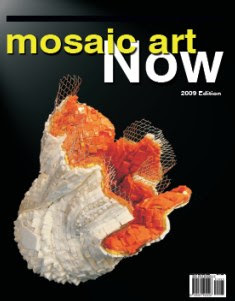 Mosaic Art Now, the magazine, is a 76-page, full-color publication. As its highlight is The Mosaic Gallery, an exhibit in print featuring the works of 34 artists from around the globe. Artists whose work the editors selected for their excellence in mastery, innovation, audacity and intent. 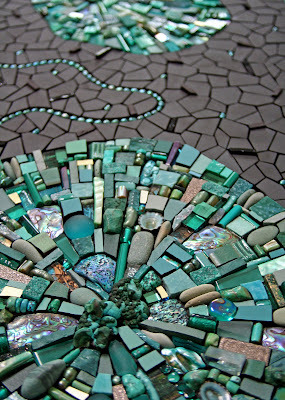 Thought provoking and educational articles about mosaics and the artists who make them round out the magazine's content. You can order a copy from Mosaic Art Now's website. This publication page also lists the magazine's back issues which are now available as CDs. Maria, 2008 --Michael Ferris, Jr. Check out the cat's paw shadows. That considered use of tesserae flow, or "andamento" not only separates the shadows from the background, but indicates which way the sun is shining. This is what separates the "duplicators" from the artists of fabrication. Brilliant. I noticed the shadows when I first saw the photos of that installation, but I lack utterly the language to describe them. Or should I say I lacked them in the past tense. Thanks to MAN and Nancie, I feel like I know a bit more about all of this. 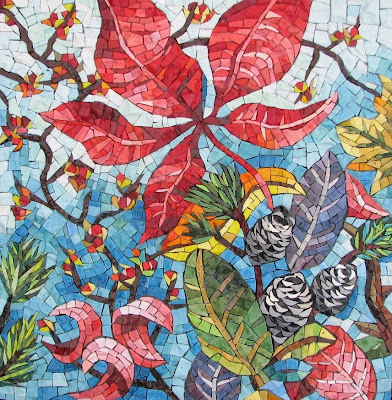 Mosaic Art Now maintains an extensive Facebook page as well. Follow this link and become a fan, I have. Many thanks to Nancie and the rest of the gang at Mosaic Arts Now. Keep up the good work and I'll be sure to check in regularly.